Disclosure: I will be attending as media. Disney Live does it again! 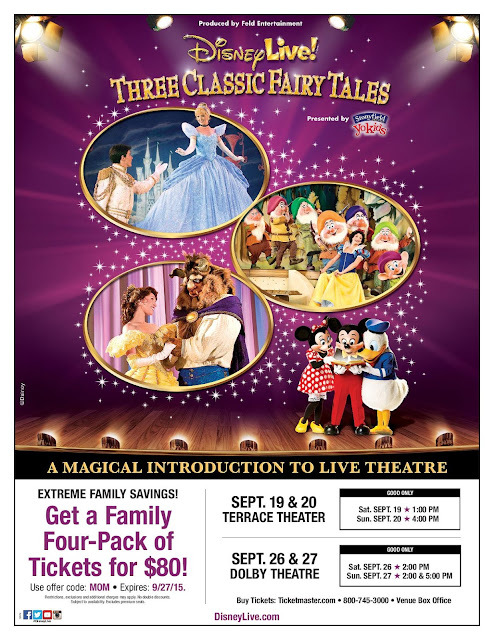 Feld Entertainment brings you Disney Live! Three Classic Fairy Tales Presented by Stonyfield YoKids Organic Yogurt. 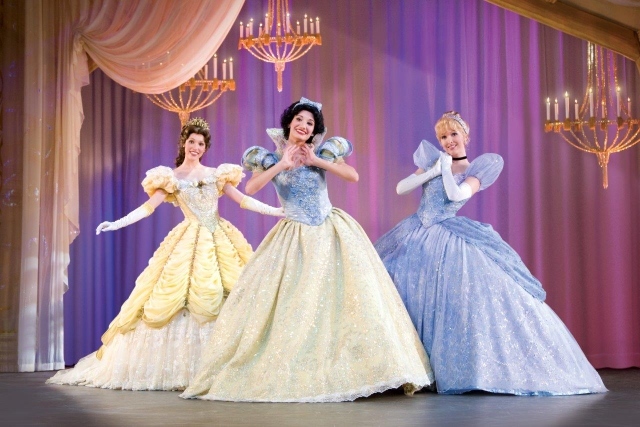 Three Classic Disney tales are coming to the Terrace Theatre in Long Beach and the Dolby Theatre in Hollywood. Join Mickey, Minnie, Donald and Goofy as they take you on a enchanted journey bringing to life three timeless fairy princess adventures with Snow White, Cinderella, and Belle featuring more than 25 Disney characters. It arrives at Terrace Theater, September 19-20 and Dolby Theatre, September 26-27. Family of 4 Pack for $80. DISCLAIMER: I will be attending as media. Sounds fun, I wonder how many moms take sons?